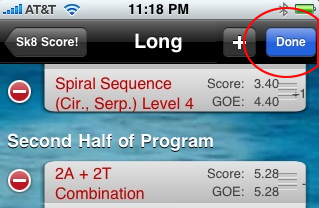 While viewing the elements in a program, tap the Edit button. Tap and hold your finger down on the bars. Then drag the element up or down. Other elements will slide to make space for the element you are moving. You can even move elements from one half of the program to the other. Sk8 Score! 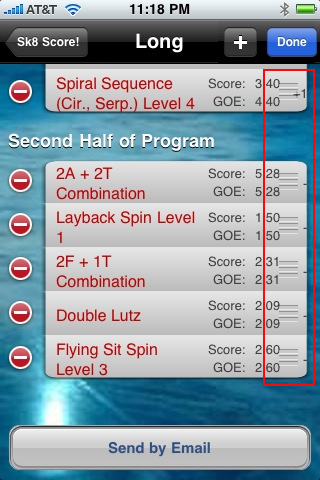 will automatically recalculate your total score if you move a jump element from one half of the program to the other.